It is widely believed the critical importance of enhancing the intellectual capability of IPIEF students by, among others, equipping them with the international exposures such as student exchange program, joining international conference either hosted by national or international institution and internship in which they will possibly acquire in-depth knowledge to handle the challenges ahead. One main important factor to pursue such an intellectual endeavor is international language. English learning curricula therefore must be systematically-organized as a necessary part of this serious effort. 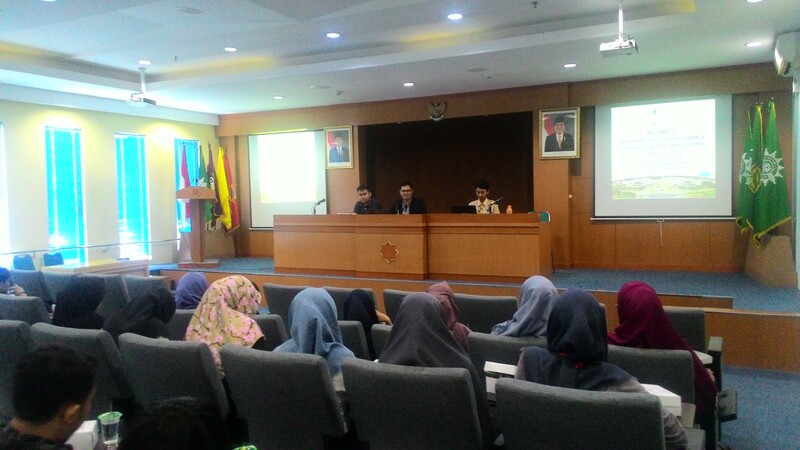 The previous address was delivered by Director of IPIEF, Dimas Bagus Wiranatakusuma, M.Ec when delivering his speech to welcome IPIEF students in New semester on Tuesday (20/2). Taking place in Amphitheater, Postgraduate Building 4th floor, this agenda had been attended by all IPIEF students from various batches. 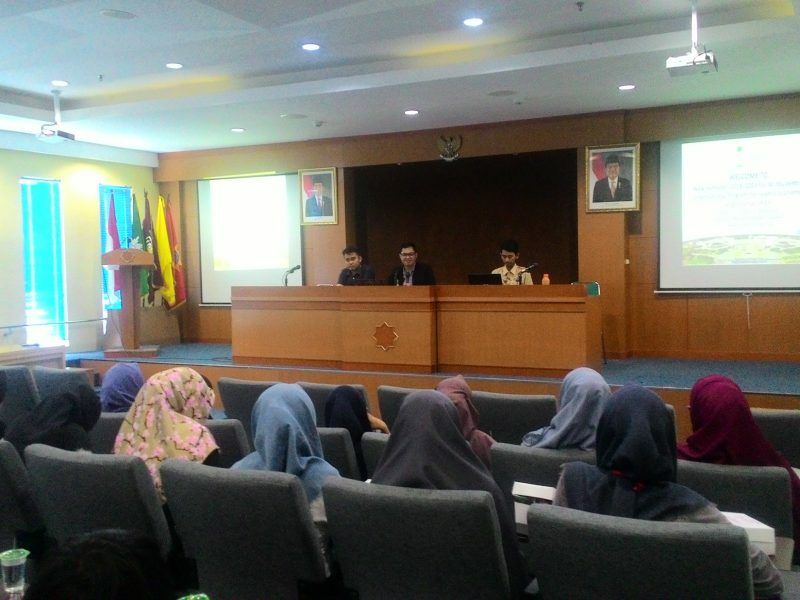 He also emphasized that, given the high demand of internationalization program to be applied in recent period, students enrolling in international programs in UMY need to fully prepare themselves to improve the individual capacity. “The systematically-standardized curriculum in English language is conceived by IPIEF now, aimed to support the students to well-prepared in committing to the internationalization program, particularly student exchange. Internationalization demands extra efforts to be made not only by the international program but also by its students. Hence, it seems likely that such a program will be successfully run through collaborative endeavor by all stakeholders, more crucially, the students”, added Director of IPIEF. Despite the important points mentioned earlier, in this new semester, as mentioned by Director, there are some additional points that need to be taken into account by old students, besides the English competency proven later by TOEFL certificate, including: the professional certification of banking management which appears to be crucial when applying the job, and internship certificate as well as international experiences both student exchange and joining international conferences.